Punnett's Square: Coffee dependence and Genetics? Some people heavily rely on their morning coffee to start their day, while others avoid coffee. The dependence on caffeine could be because of our genes - in particular the CYP1A2 gene. This gene is in charge of the CYP1A2 enzyme which is responsible for breaking down caffeine in the body. The gene expresses a slow metabolizer or a fast metabolizer. A study showed that a slow metabolizer could drink 4 cups of coffee and be linked to a higher chance of a heart attack, but a fast metabolizer could drink the same amount and not have any link to a higher chance of a heart attack. Another gene that can also be accountable for how much coffee an individual consumes is the AHR gene. The gene controls how much of CYP1A2 enzyme are produced. The more CYP1A2 enzymes are produced the faster caffeine is metabolized in the body which will then increase the amount of coffee an individual drinks. 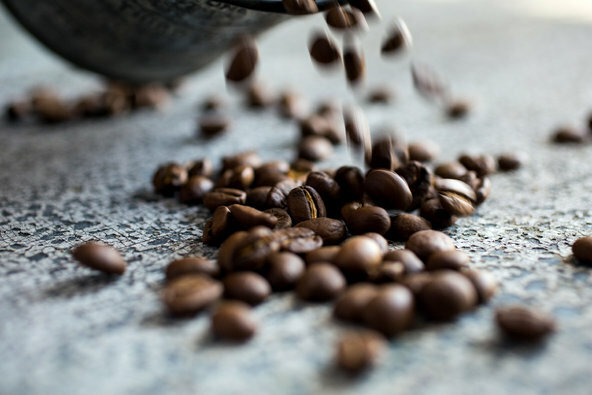 As an avid coffee drinker, it was very interesting to read this article. I never knew there was a certain gene that controlled the intake of caffeine. I would be really interested in learning more about how I would know if my CYP1A2 gene was a slow or fast metabolizer. By reading your post, a new thing that I learned was that there is a correlation between caffeine consumption and the risk of a heart attack. I have never liked the taste of coffee so I have never felt the need for caffeine. I think it is very interesting how scientists were able to find the differences in the caffeine effects on people with slow metabolisms and people with fast metabolisms. However, I think it would have been beneficial if these scientists explained more on how people are able to build up a tolerance to caffeine over time. A person who may drink a cup of coffee for the first time may experience the side effects worse than a person who has been drinking five cups a day. I know that this study focused on the genetics of metabolism, but I would have been interested in seeing a study where people are able to "control" the way their body reacts to caffeine by "building up their tolerance".